Native Stew :: Bahamas News: Women of Power told, "We'll Save Your Place In The Sand"
Women of Power told, "We'll Save Your Place In The Sand"
BAHAMAS PARTNERS WITH MACYS AT BLACK ENTERPRISE WOMEN OF POWER SUMMIT. 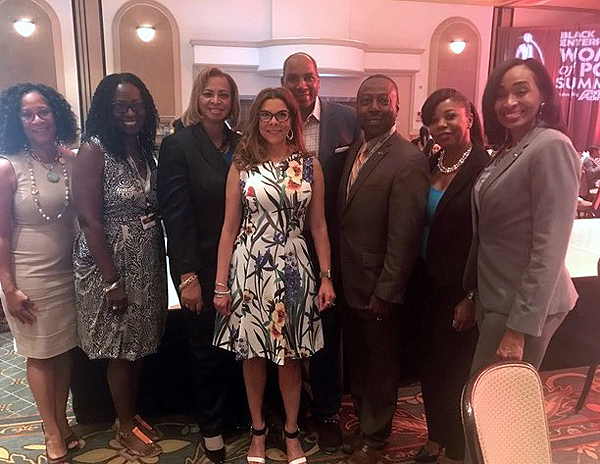 Pictured from left to right are; Bridgette King, Senior Director of Operations, Bahamas Tourist Office; Bernice Clark, Senior Vice President, Media Strategy & Planning, Macy’s Inc; Sandra P. Carey, Bahamas Deputy Consul General, Miami; Kristyn Page, Vice President of Diversity, Macy’s Inc; Earl G. Graves Jr, President & Chief Executive Officer; Linville Johnson, Director of the African American Market, Bahamas Ministry of Tourism; Anita Johnson- Patty, General Manager, Global Communications, Bahamas Ministry of Tourism, and Darlene Davis-Hord, Bahamian Author, Spiritual Leader and Life Coach. 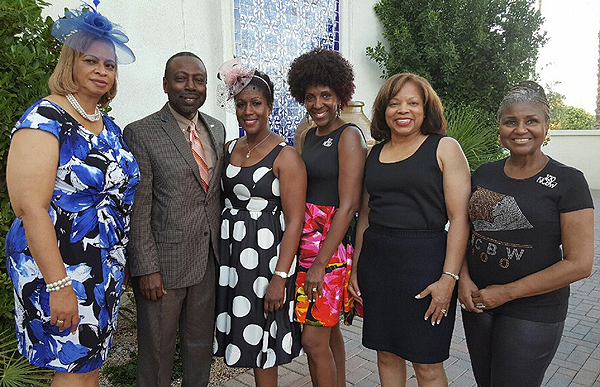 Over a thousand of the most influential African American business women from across the USA gathered at the Arizona Grand Resort and Spa in Phoenix for three days of networking and professional empowerment at the recent Black Enterprise Women of Power Summit (BEWOP). Featured speakers and award recipients included Phylicia Rashad, Award Winning Actress; Shirley Caesar, Pastor and Award-wining Gospel Artist and Ursula Burns, Chairman, Xerox Corp.
As part of its mandate to expand The Bahamas’ reach to the African American travel consumer, The Bahamas Ministry of Tourism partnered with Black Enterprise and Macys as a corporate sponsor and hosted a luncheon at the Summit. The Bahamas' event for the delegates featured a Fashion Show presented by Macy’s. Mr. Linville Johnson, Director of the African American Market for the Ministry of Tourism led the Bahamas delegation which included Ms. Bridgette King, Senior Director of Operations, Bahamas Tourist Office, and Ms. Anita Johnson-Patty, General Manager, Global Communications, Bahamas Ministry of Tourism. Also attending from The Bahamas was Deputy Consul General of The Bahamas, Ms. Sandra P. Carey. At the Bahamas sponsored luncheon, the Bahamas representatives appealed to the audience with an invitation under the theme, “We’ll save your place in the sand”. Another feature of the gathering were prizes where one lucky delegate won a three- day two-night stay at the all-inclusive Warwick Paradise Island Resort and another participant won a Pandora Bracelet with Bahamian inspired charms. 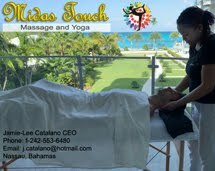 Ministry’s African American Department is quoted as saying, “ The Ministry of Tourism recognizes the economic power of this group and plans to step up it’s efforts even further to cultivate strategic partnerships like Black Enterprise that boost The Bahamas’ visitor arrivals and visitor spend”.